Found one file extension association related to HP WebInspect and 1 file format developed specifically for use with HP WebInspect. 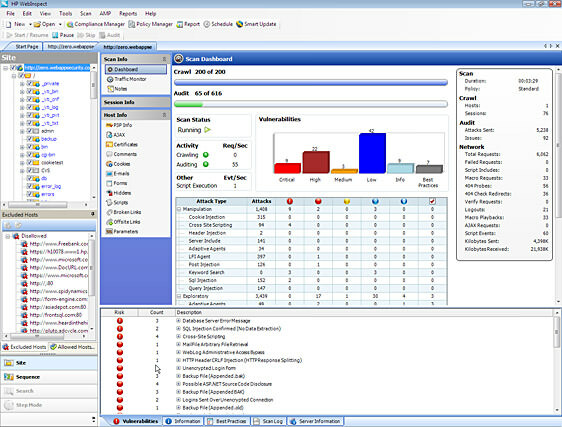 HP WebInspect identifies security vulnerabilities that are undetectable by traditional scanners. With innovative assessment technology, such as simultaneous crawl and audit (SCA) and concurrent application scanning, you get fast and accurate automated web application security testing and web services security testing. If you need more information please contact the developers of HP WebInspect (Hewlett-Packard Company), or check out their product website.